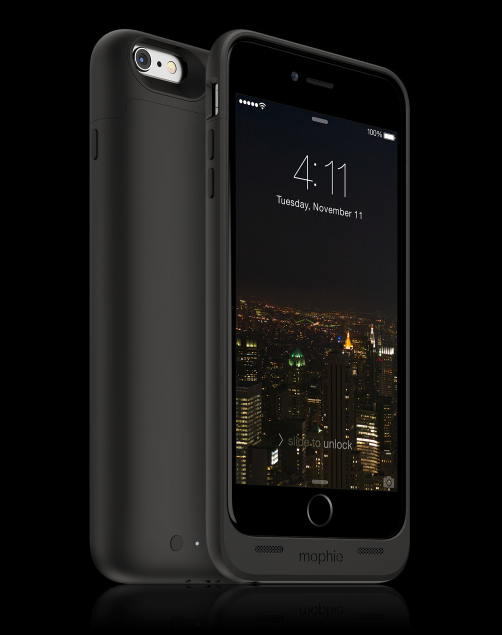 Today at CES 2015 in Las Vegas, Mophie has announced a new iteration of their popular battery case for Apple’s latest smartphones. 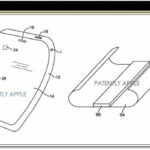 The company has unveiled the Juice Pack Air and Juice Pack Plus for the iPhone 6 and the Juice Pack for the iPhone 6 Plus. The new battery cases are thinner and provide advanced protection in all versions. The case for the iPhone 6 Plus provides more than 60 percent extra battery life using the Juice Pack. On the other hand, the iPhone 6 receives 100 percent extra battery life with the Juice Pack Air or 120 percent extra battery life with the Juice Pack Plus. Mophie says that the new battery cases provide up to an extra 17 hours of talk time, 12 hours of web browsing, 13 hours of video, and up to 60 hours of offline music playback. 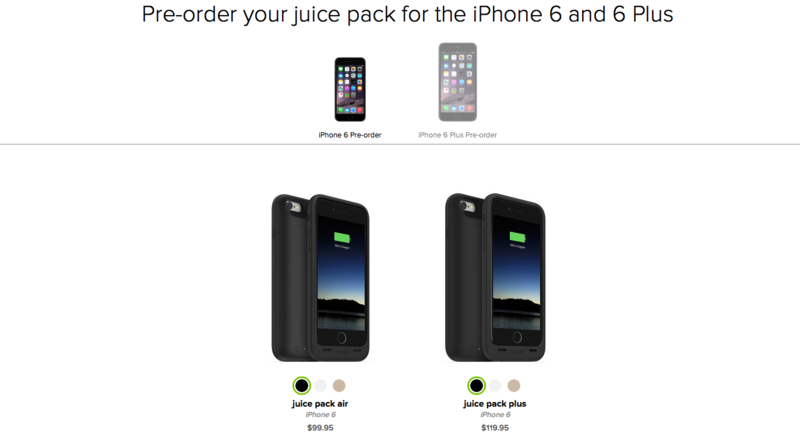 The Mophie Juice Pack line for the iPhone 6 and iPhone 6 Plus are available for pre-order from the company’s website with prices starting at $99.95.